On today’s project list was to plant eight boxwood hedges to continue the row across the front perimeter of our yard that inexplicably stopped at the halfway point of our yard. Nearly completed, hedges in a row. All was well for shrubs one through seven. Then as the shovel entered the ground for shrub number eight, we heard a HISSSSSSSSS and knew immediately that we hit a gas line. Vince shouted for me to call 911. 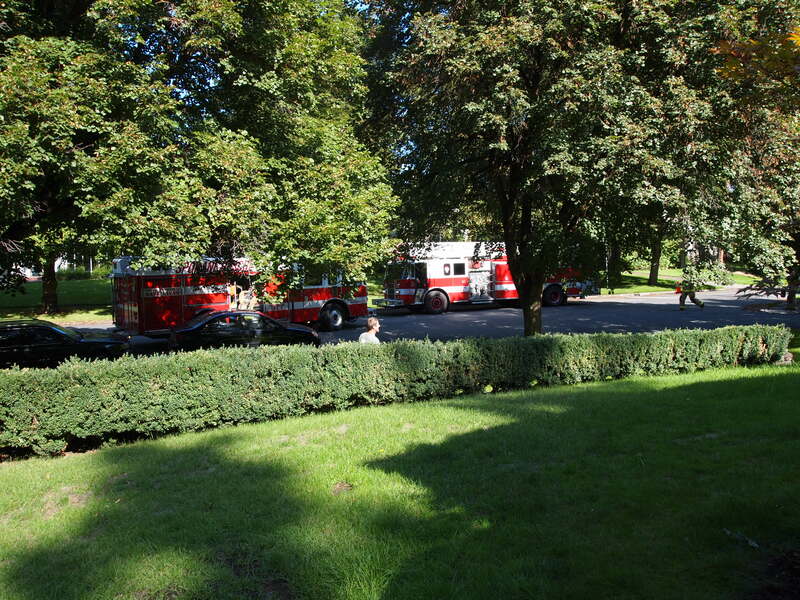 Within 10 minutes, the emergency call was placed and the Spokane Fire responded, with six trucks. SIX! The first two rolled up and blocked traffic. Three more blocked traffic coming from the main arterial road. We were evacuated along with our neighbors to the east and west. We sat on the curb across the street watching the action. We were stunned that we hit a gas line at such a shallow depth. My husband, with 25 years construction experience, commented that gas lines are typically sheathed in PVC, not a bare, exposed polyurethane pipe. 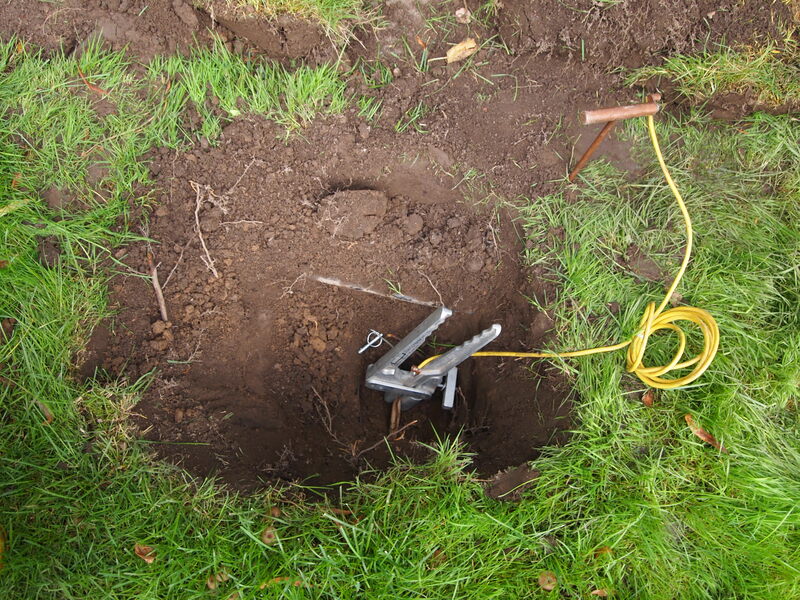 Or, if the pipe is exposed, then there is an indicator, like sand, concrete, tape or other notification, that the gas or electrical lines are near. Apparently in Washington there is a LAW that says you have to call the utility company if you are going to dig to even plant a daisy to avoid hitting a line. Here’s the thing about laws, you sometimes don’t know you’re doing wrong until you get caught breaking the law, or the gas main as in our case today. As new citizens of Spokane, how are we supposed to know shallow lines are the norm? How are we supposed to know to call the utility company before digging a foot down before planting a shrub? Though ignorance is no excuse, we simply did not know; furthermore, from our experience in living in both California and Arizona, we have never been required to call for landscaping. For serious excavation, yes, for landscaping, no. Lesson learned. We sat on the curb chatting up our neighbors, informing nosey passerbys what was going on and waiting. Then…. 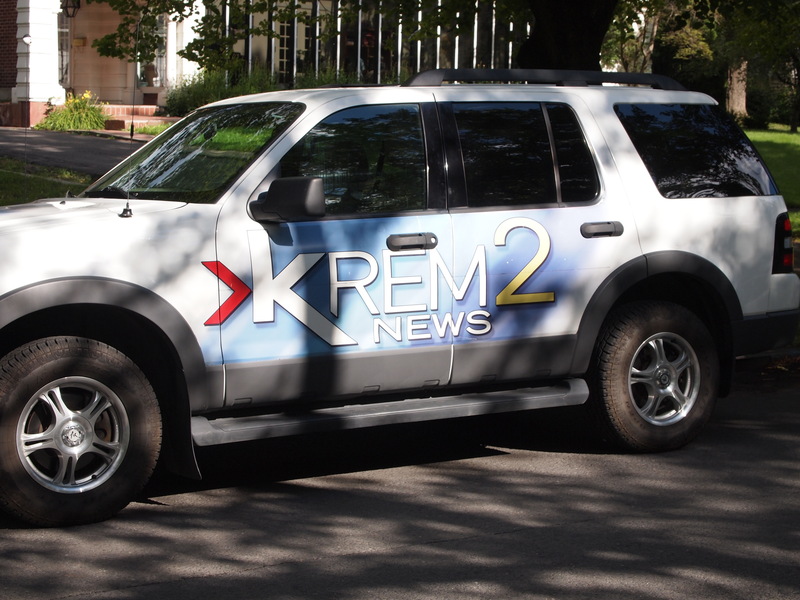 the local news showed up! Vince and the neighbors quickly volunteered me for the speaking role. Damn! I was gardening, I didn’t even have lip gloss handy. I really wished I was wearing my teenage daughter’s “oops” sweatshirt! Thankfully they just wanted photos, no interview of the dummy that didn’t know to call. After 20-30 minutes of us and the fire department standing around, Avista, the utility company, arrived to save the day. Within moments, the line was clamped, turns out just to be a nick in the line from the shovel tip, and we were permitted to return to our houses. The guy in the yellow super safety suit is the utility man in the danger zone clamping the line. 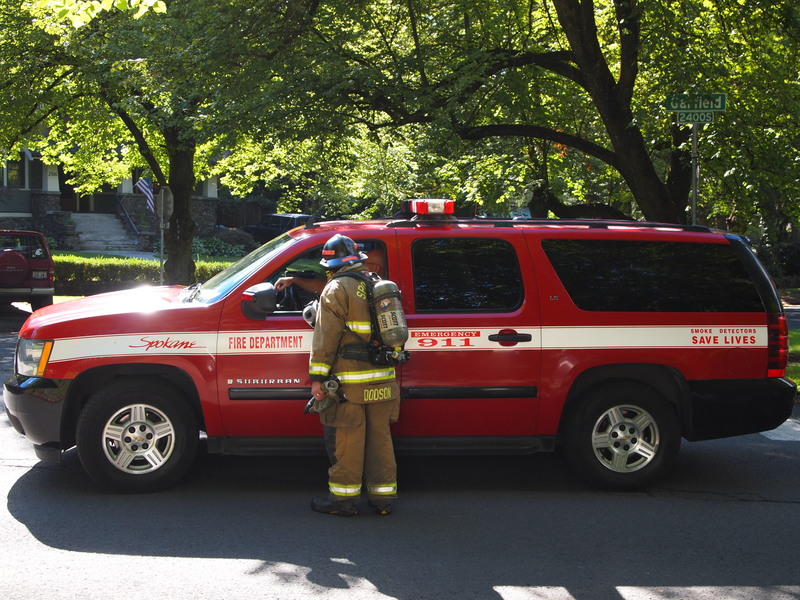 The fire department took a tour of our house checking the gas line for leakage as gas typically travels up the line. Thankfully, no gas was detected and the house was our again. I wanted badly to ask for a selfie photo with the firemen but lost my nerve. The firemen and utility man were all great and kept everyone safe. The best part, nobody once called us a bunch of dumbasses, which we appreciated. 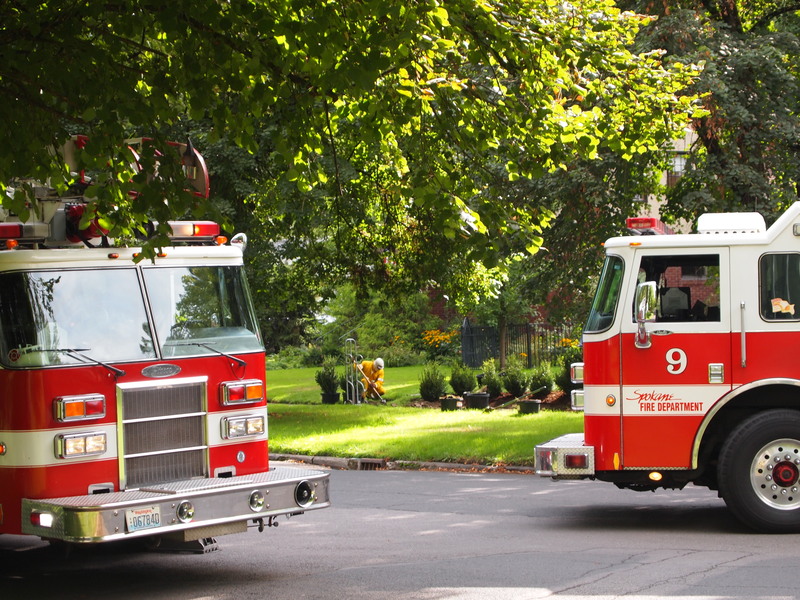 Funny thing, the firemen told us this was their second call, just like ours, today. Many of our neighbors came up to us afterward and told us similar stories or their misadventures with buried gas lines. We are in good company. This is an interesting photo, my last of the experience. Our sprinkler line lies horizontal with the sidewalk. 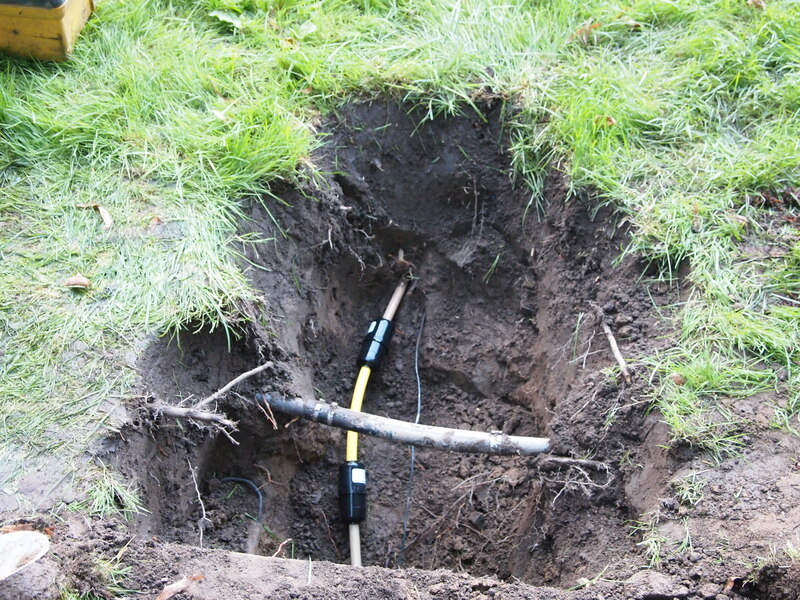 The gas line, newly fixed, starts at an 18″ depth at the sidewalk, then quickly jumps to a 12″ depth. Why did they change elevation when the line was installed? Why didn’t they stay deep? 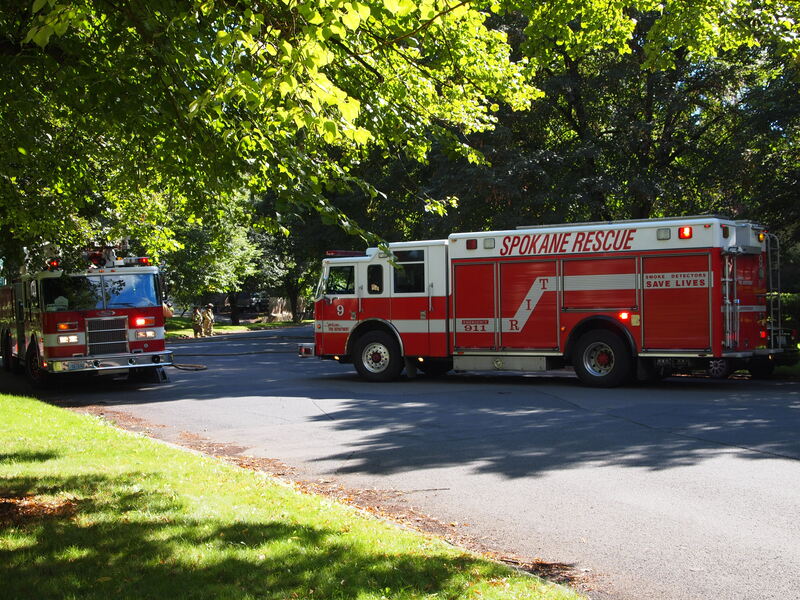 Huge thanks to Spokane Fire and Rescue for keeping us and our neighbors safe today. Thanks to the Avista utility man for not only clamping and fixing the line but for lighting the pilot light in my second oven that has been out since we moved in. He taught us the trick to lighting it (heating the coupler, pushing a button, something something…I hope Vince paid attention). 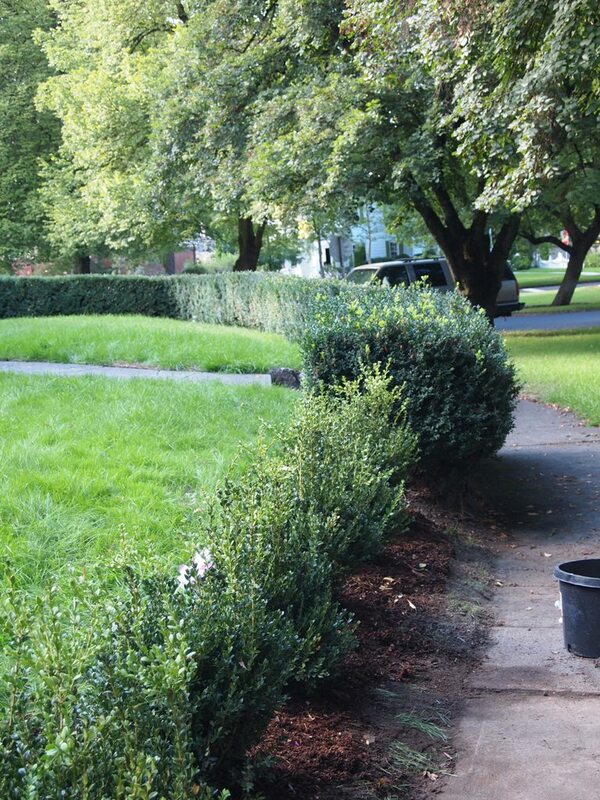 Boxwood hedge #8 doesn’t have a home in the front row but the hedgerow project itself is done. Another first for us in Spokane. 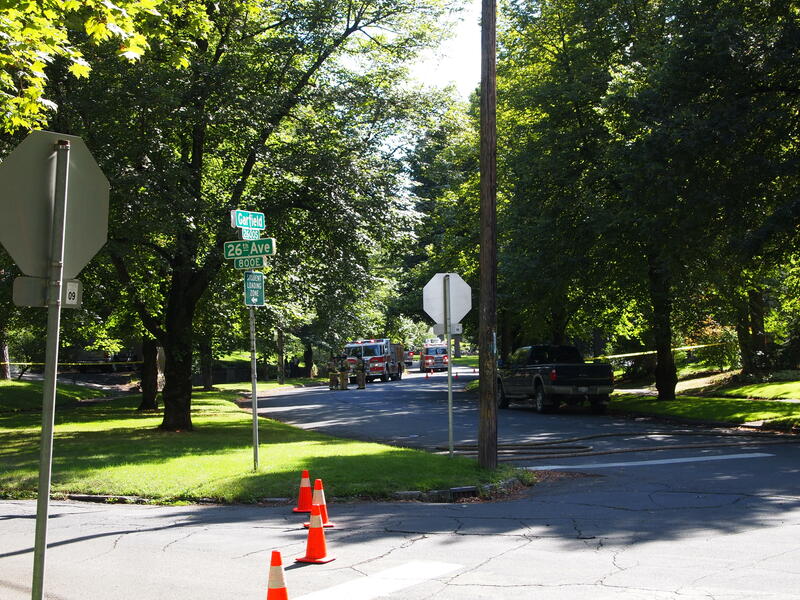 Broken gas line, check! Emergency services, check! Let’s hope this mis-adventure was our last. Good to know the emergency teams are in place, ready when we need them. The fire deparment said no fine. We will have to pay the utility company for the service call at overtime rates. This took soooo long to read because of all the tears. Glad everyone is okay. Would have loved for you to be interviewed for the news though. I’ll work on my newsworthiness.